If you are obsessed with home design - like I obviously am - then you must also be obsessed with HGTV like I am. 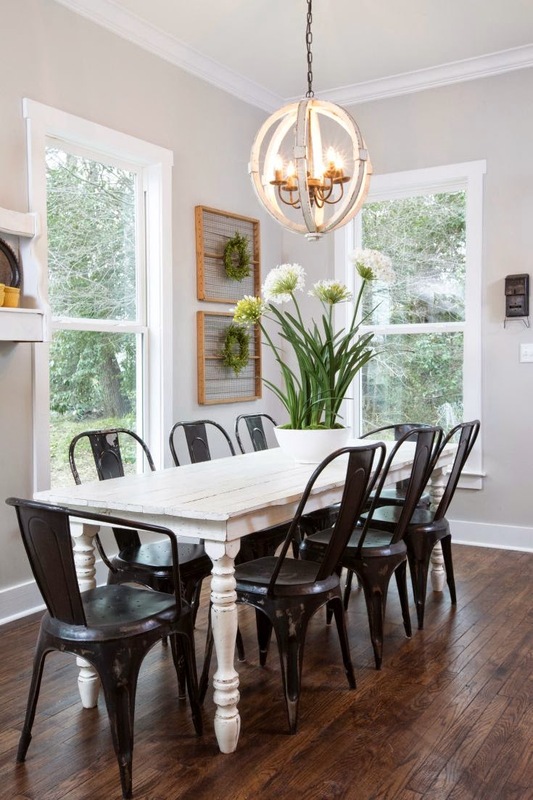 Yesterday HGTV ran an all day marathon of their show Fixer Upper. If you haven't seen it, you must watch it. 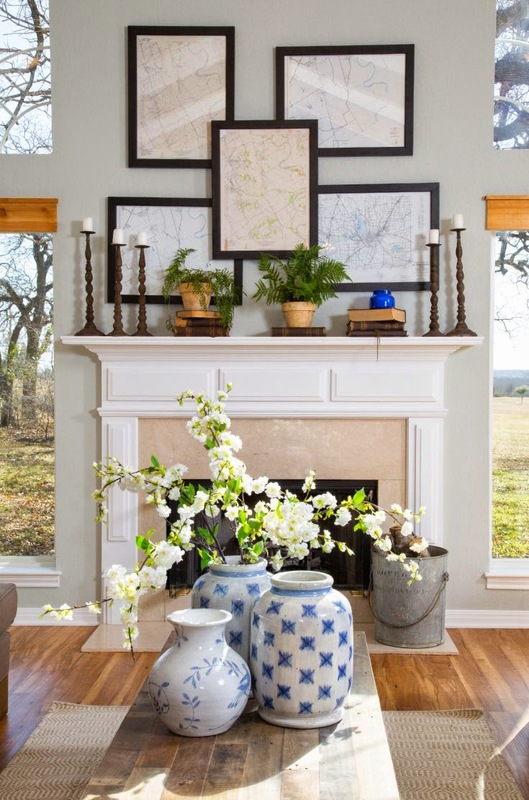 The show centers around a Texas couple Joanna and Chip Gaines who renovate and design houses for clients. What I like best about it (other than their great relationship and the fact that she still looks like a model despite having 4 kids) is her incredible sense of style and design. All of that to say I have a major girl crush on Joanna and wish I could be her when I grow up (ha ha!). Check out some of their work. I love the way she uses vintage pieces in a modern way. It's country without being kitchsy. 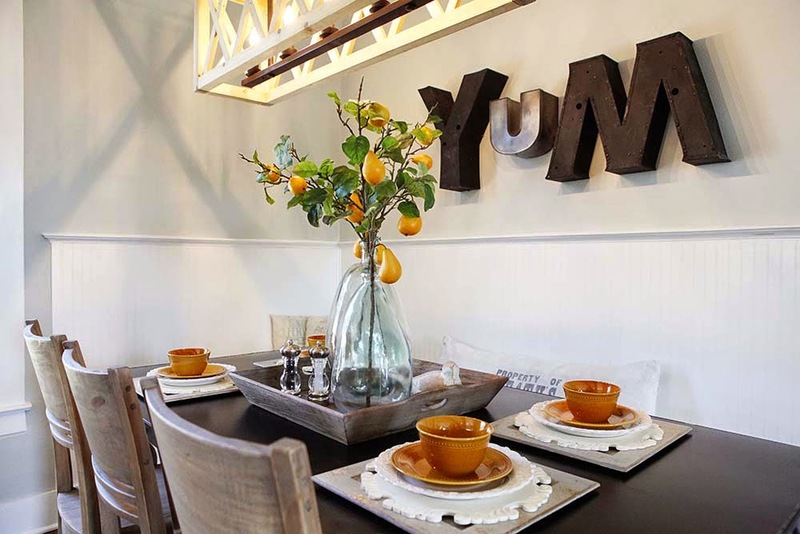 On the show she finds rustic pieces from her own farm or from local stores and uses them in very clean and bright spaces. The result is gorgeous and makes me want to redecorate our entire house already. 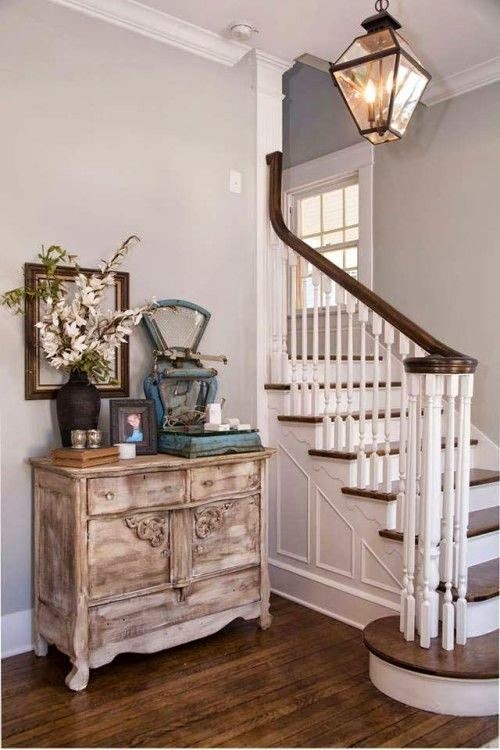 I will use it as inspiration for our great/family room which has some of these elements and just needs a tweaking and editing. Joanna writes a blog which you can read here and I am really inspired by her look at life and dealing with the complexities of filming a show, being a mother to four kids and staying on top everything. I can so relate to the post she wrote on being a procrastinator versus a responder. As we get ready for the madness of the Fall to begin, I hope to be able to get out ahead of life by being organized so I can then be in the moment and actually enjoy it. So without seeming like crazy stalker lady, I really hope to be more like Joanna both in style and spirit. Happy Monday! 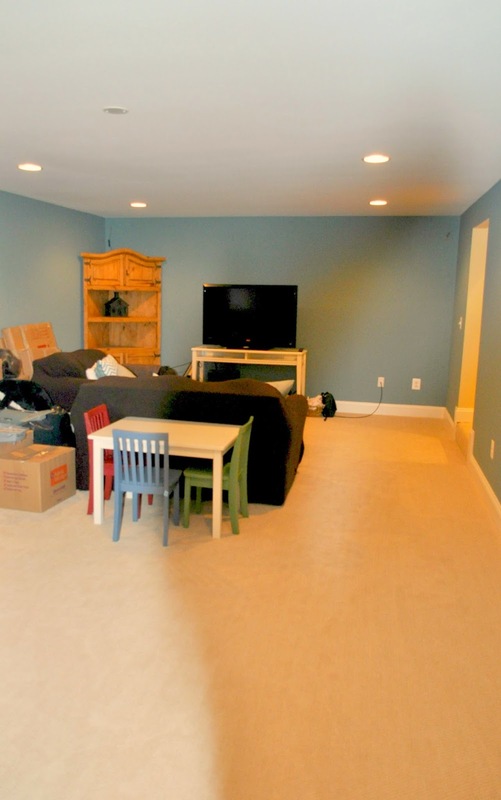 19 Budget Living Room Makeovers…For Hometalk! 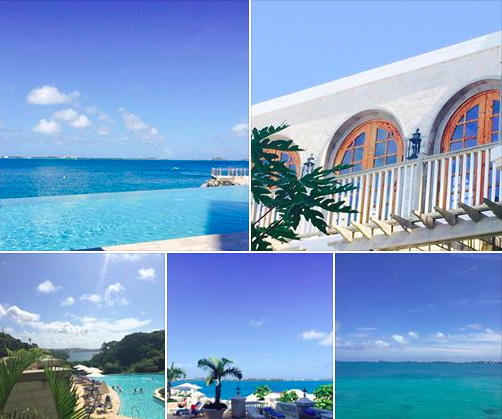 I am taking break from our AH-MAZ-ING trip to Bermuda - more on that later! 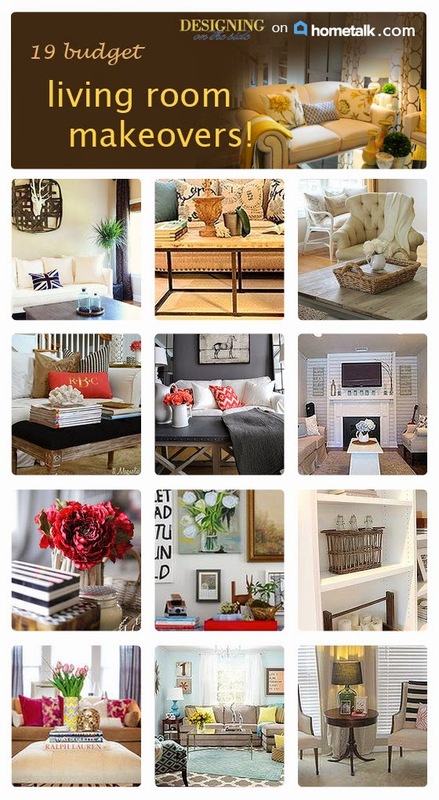 - to share with you some awesome ideas for living room makeovers on a budget. Our living room was the first room I decorated when we moved back into our house last December (see post on our living room here). It was so much fun to put together and I did NOT spend a lot of money. Yes there are some really expensive pieces in the space that I inherited from family (piano, artwork, etc.) but I was able to finish the room with gorgeous Kravet fabric drapes that I got on a discount fabric site and my mom sewed, a loveseat I got from Wayfair, a bench we picked up at HomeGoods, a table and rug from Overstock and some accessories from West Elm. 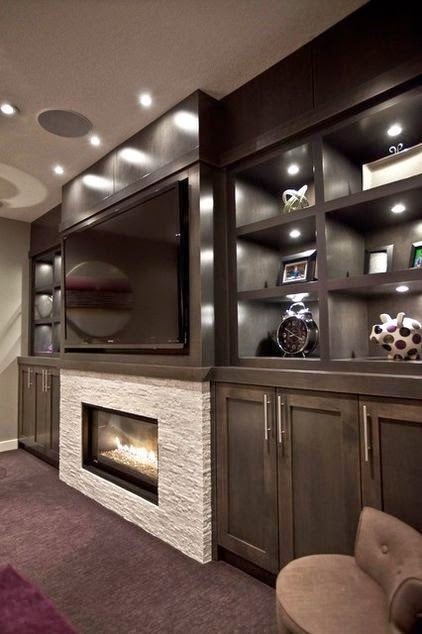 The end result is a high-end looking space that didn't break the bank. And guess what? I am apparently not alone! Have you heard of Hometalk? It is the largest home and garden social network on the web and millions of people use it to share their projects or to ask questions of each other. For those of you like me that want to see what others are creating, it is a dream come true. 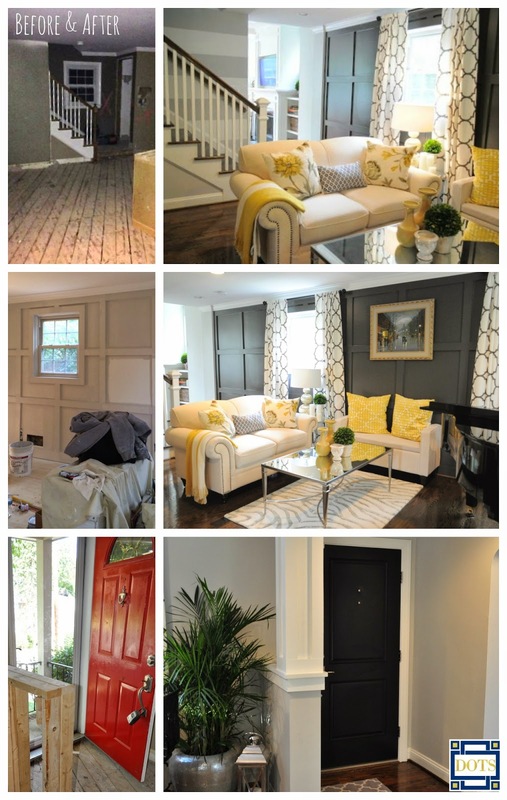 So when Hometalk asked me to curate a clip board on living room makeovers, I was thrilled to do it! 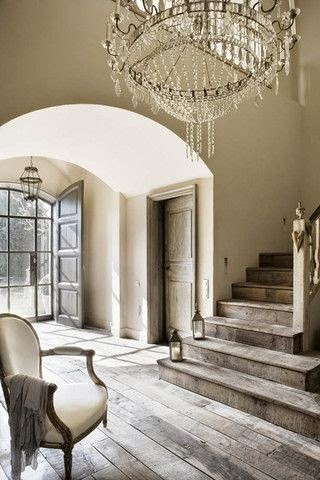 Check out these 19 beautiful spaces I found and click on the picture to learn more about each project. Love them? I do! So many different styles and creative ideas. From the uber modern and fun faux deer antlers, to the gorgeous dark grey room, to the garage that is now a cozy and beautiful space complete with fireplace. 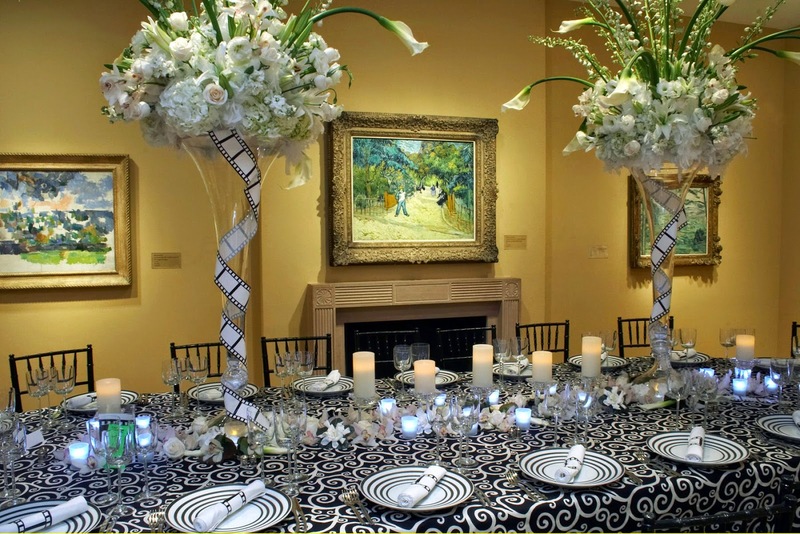 I selected these spaces because they combined classic elegance with a sense of humor. Almost every room I picked had some traditional pieces with pops of color or fun decorative elements like the Union Jack throw pillow or the eclectic wall of artwork. And there are just a few…click on the picture to see all 19. 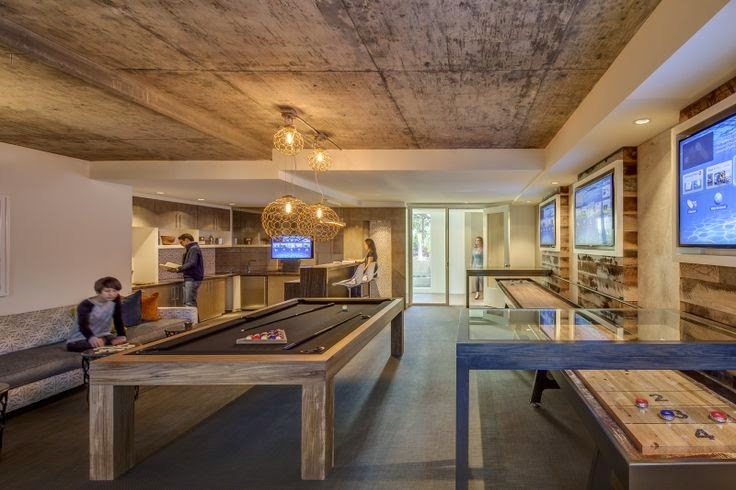 What The Hell Is A Man Cave Anyway? In the "proof that the world is ending" category, it is 59 degrees here in Washington, DC in AUGUST! Totally crazy and amazing all at the same time. 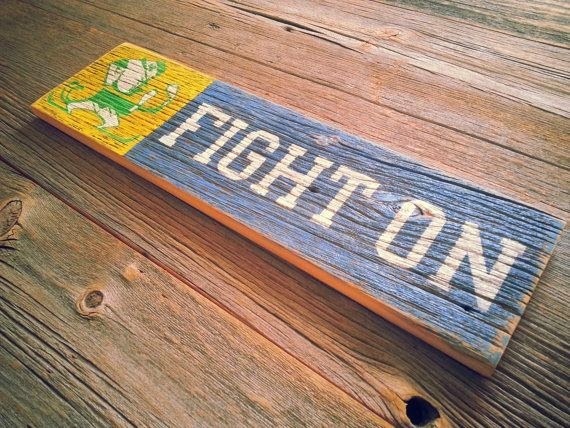 With just two weeks until the college football season begins, it is really starting to feel like Fall. 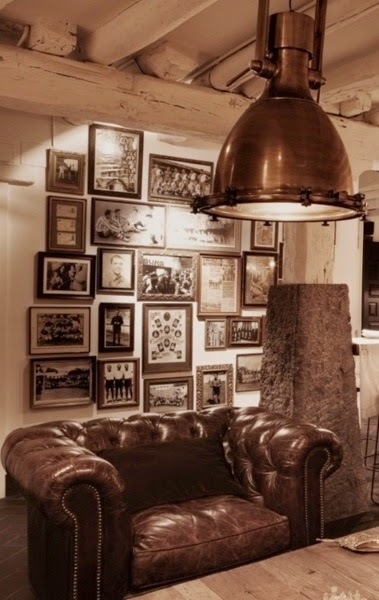 And it has got me thinking about how we are going to decorate our basement. In searching for inspiration for the space, I keep coming across rooms labeled as "Man Caves" which is a term I am adverse to. I really prefer to not think of my husband as a neanderthal and perhaps more importantly, I am not sure why the basement has a gender. Bizarre. Anywhoooo…here is how the space looks now. So clearly there is a lot of work to be done. Our plan is to move the couch that is currently in the great room to the basement and replace the really old and beaten up love seat and chair that are down there right now. 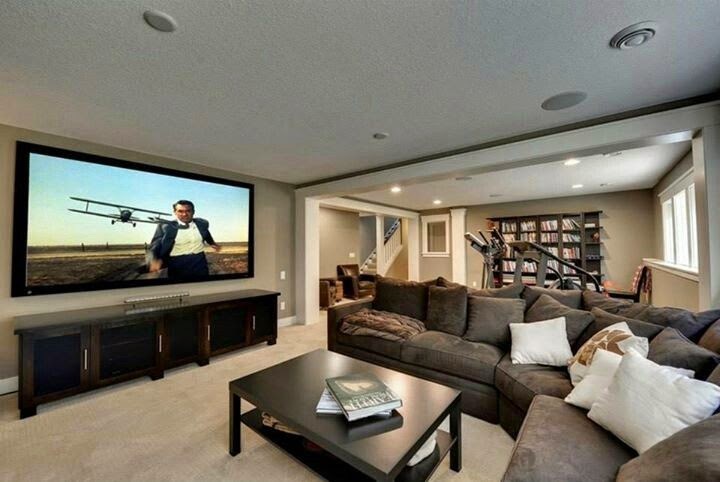 I am thinking a whole wall of built ins with the tv in the middle and then the rest of the room is reserved for a bar and some fun games like a shuffle board table and maybe foosball. 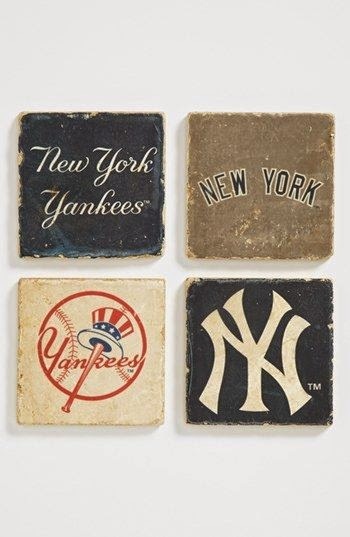 Given that my husband went to Notre Dame and is a huge Yankees fan, the room is sure to be decked out in sports memorabilia. 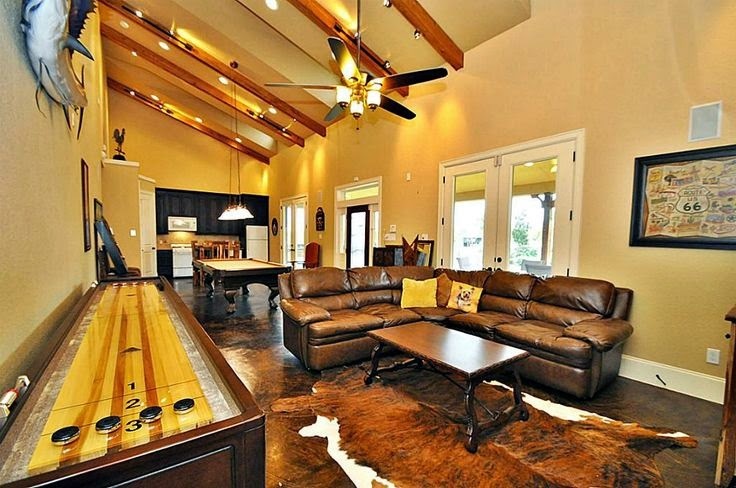 Hmm…starting to sound dangerously like a man cave huh? 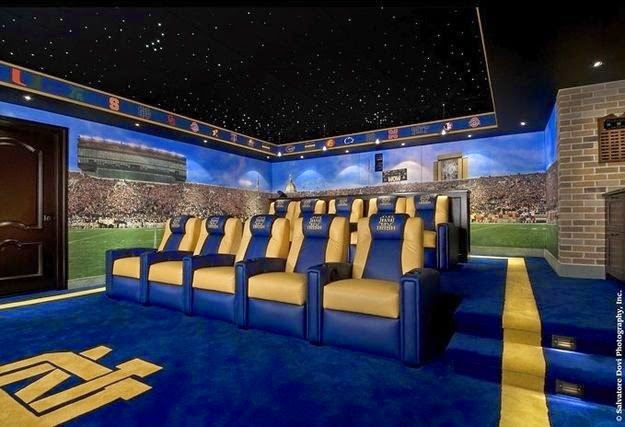 Oh..alright..if I have to give in and make it a man cave, then it can at least be a stylish one right? Here are a few that I found as inspiration. 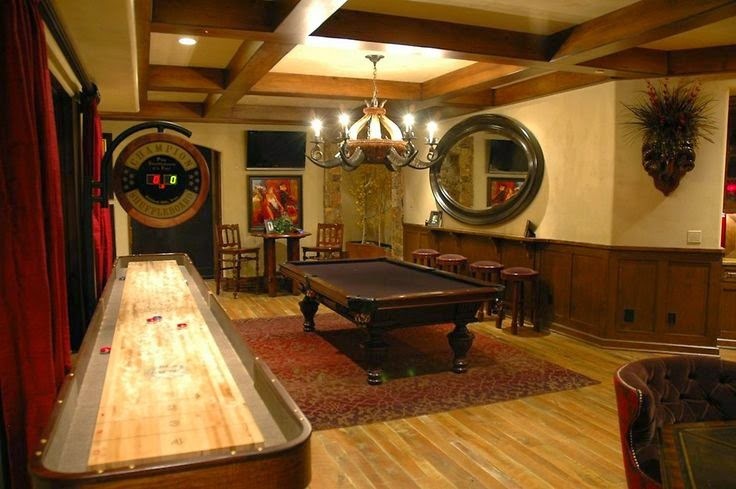 All of these pictures are from my Pinterest Man Caves board. Ok…so I am embracing the term. And you know how much I hate the term DIY (see my post on this topic here) but can we talk about this brilliant dart board idea? 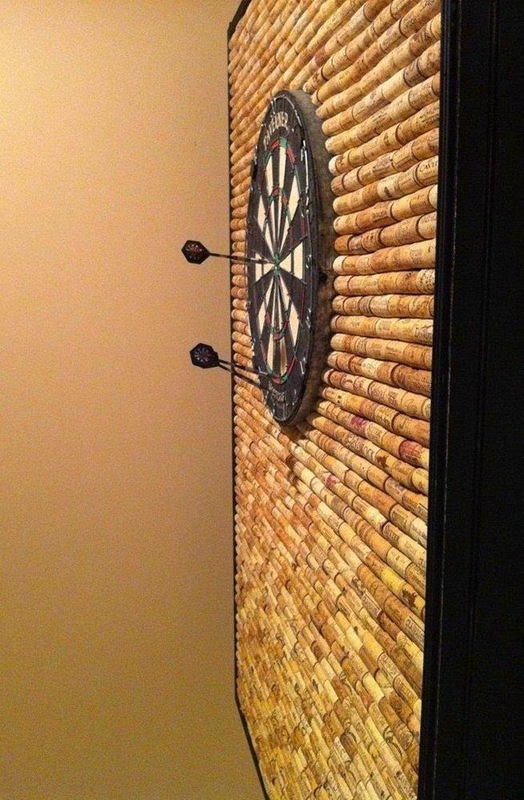 Now if only I drank wine and had some extra corks lying around…. Ok, so now that we have a basic design direction, now how to incorporate the sports stuff? Not an easy task. I suppose we could go this route…which might make my hubby happy but might also give me vertigo every time I enter the basement. So let's stick with the more elegant approaches above and incorporate the sports theme in a more understated way shall we? Alrighty then, now we have a design idea, and some way to incorporate the sports without being tacky. So all that's left is the bar. 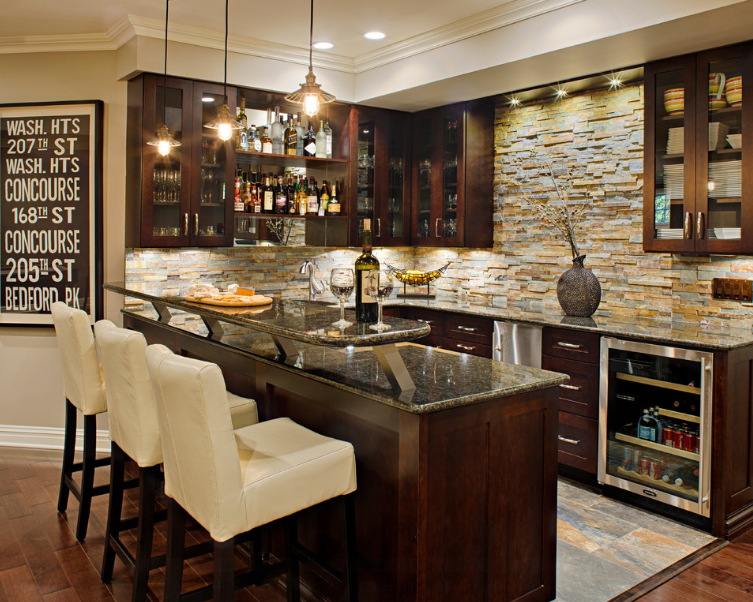 While the basement is pretty big, it's not huge so we'll need to find a bar that is on the smaller side to leave plenty of room for the other shenanigans. 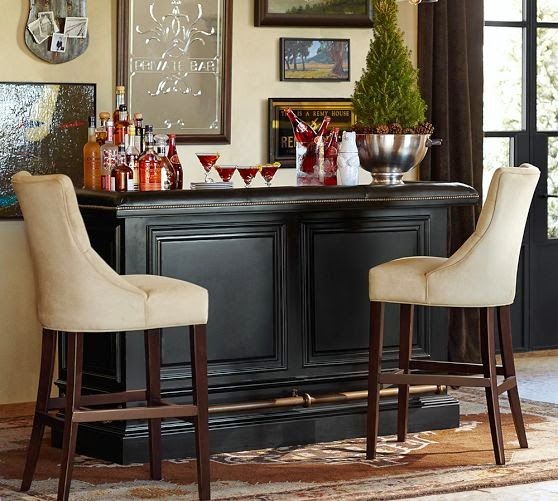 I really like this one from Pottery Barn. Or maybe we should go for the built in kind like this one. Which is quite awesome as well. Obviously this space will take a back seat to the other more important rooms we still have to finish - like our master bedroom but with the chill in the air, it's fun to start dreaming. 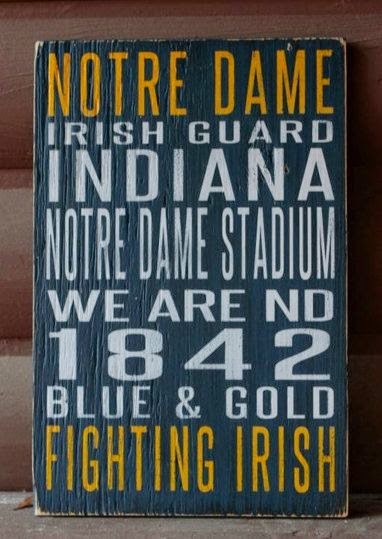 Here come the IRiSH!!! Pink and Green and Pretty All Over! 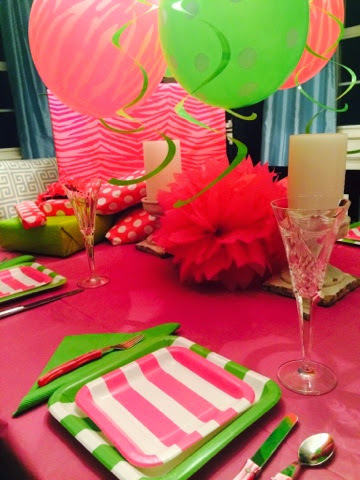 A little sneak peek at the fun party decor for my daughter's 10th birthday tomorrow! Living Room Before & After! Master Bedroom - Making Progress!!! We are making progress on our master bedroom! 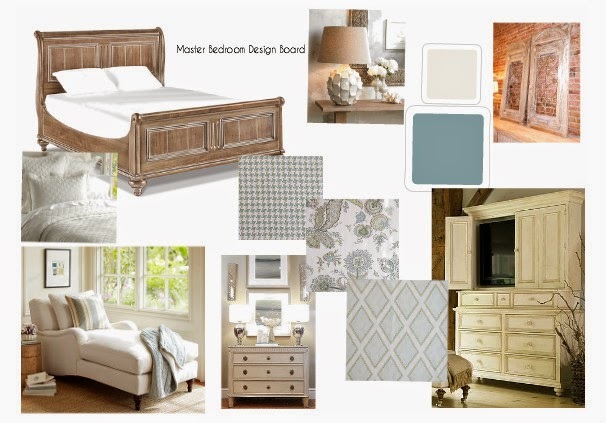 Here is the design board I am working from that has pieces we have actually purchased - or will purchase soon! Last week we ordered the bed from Ethan Allen. It is their Robyn Bed in Mushroom with a White Glaze. 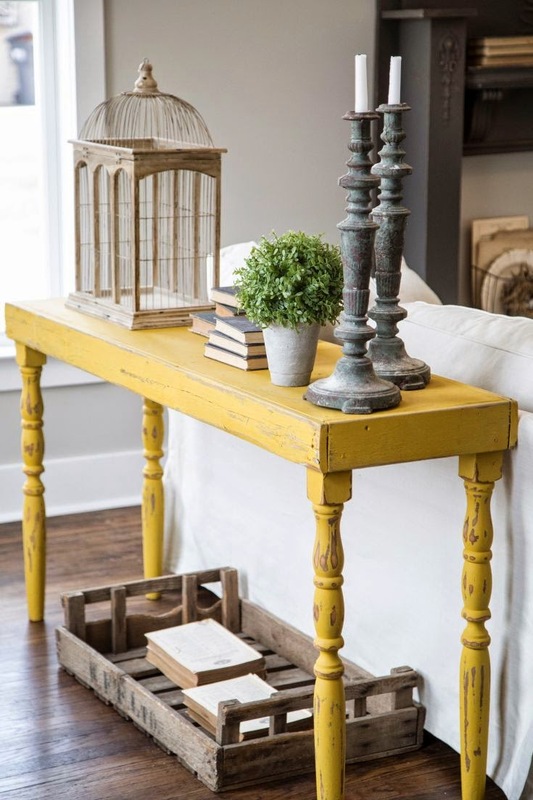 It is a worn wood that has a beachy feel and we love it! We also bought the matching dresser called the Double Edward in the same color. The great armoire you see is from the same collection and we are going to order that soon but in off-white to contrast with the other pieces. I do not like a lot of matchy matchy in my designs so have to have some contrasting pieces. 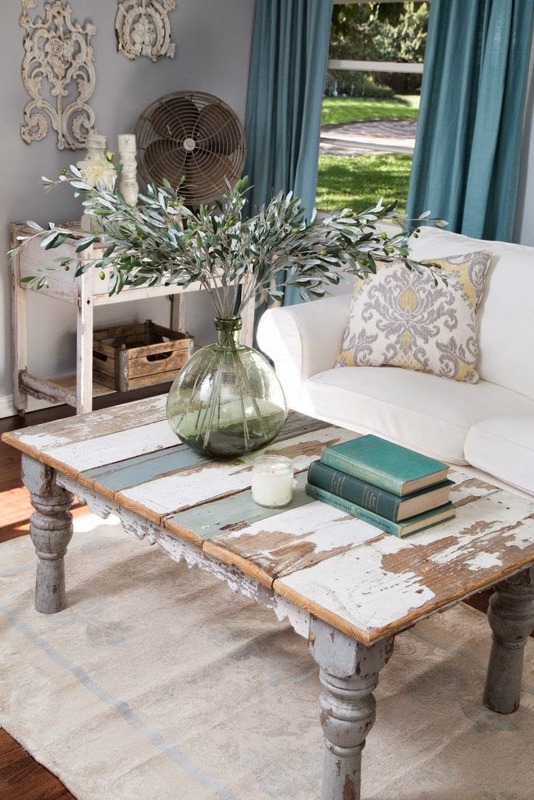 I haven't picked out the side tables yet but I love the white one pictured below. And I really like the lamps and the scones in that picture. Mixing mirrors with distressed wood I think will be gorgeous. The walls are what I'd call a porcelain blue and so I picked out these fabrics from the Sarah Richardson collection for Kravet. We have a very large window bench and I think I'll cover that in the hounds tooth one. The floral one I may use for throw pillows and the diamond one for roman shades maybe. Haven't quite figured that out yet. The linens for the bed will be white and possibly quilted and I love the distressed art pieces on the right of the design board. 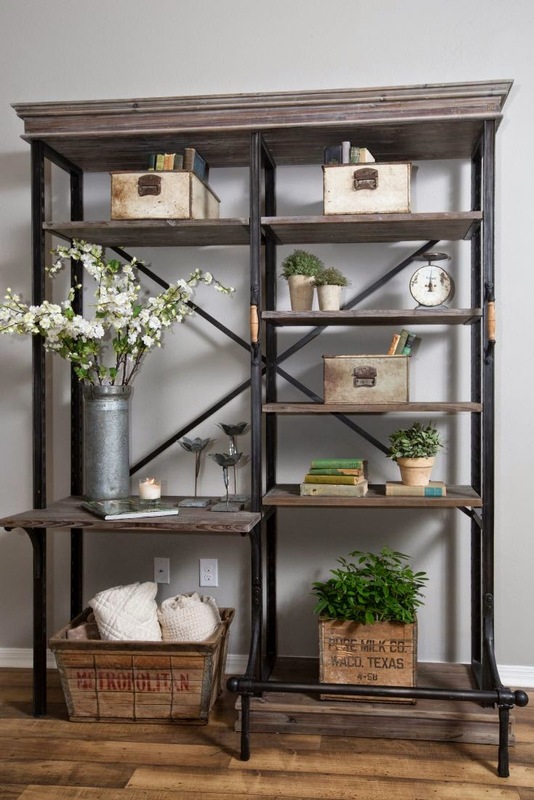 They are at one of my favorite local furniture stores called Random Harvest. Would love to put those on either side of the bed. The bedroom is really large so we are going to add a chaise like the one on the left bottom corner or maybe a chair with a big ottoman. This one is from Pottery Barn. I'll share a lot more pictures and sources as the room comes together but wanted to give you a sense of the direction so far! 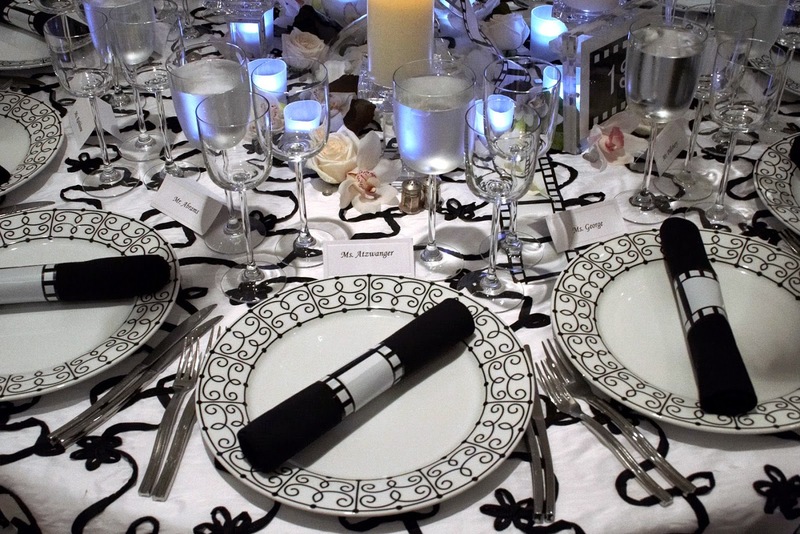 In this edition of the event spotlight, I am sharing a gala I did with the one and only David Tutera. This was the second event I created with David and just like the first one, it was a total blast. He and his team were consummate professionals who also had a lot of fun. Unlike other celebrities I have met and worked with (ahem...not mentioning any names), David is completely down to earth and easy to work with. BTW - if you haven't caught his new show CELEBrations on WeTV you must tune in. Check it out here! 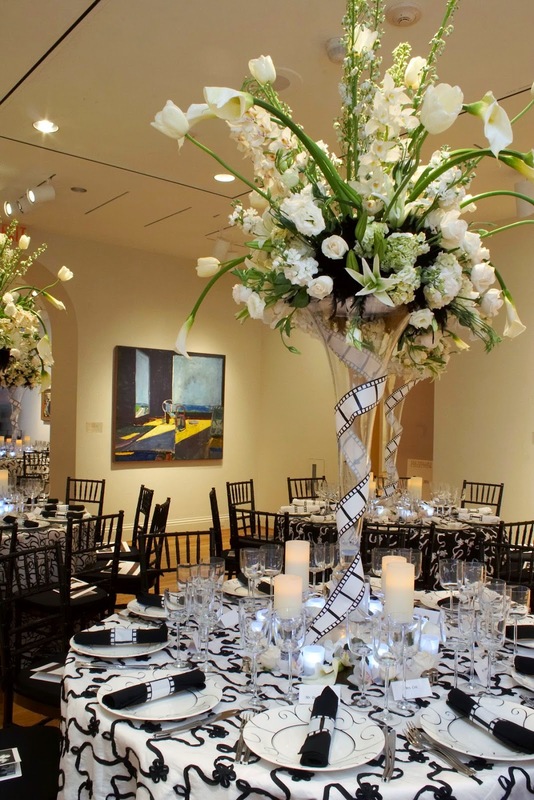 Because the museum has a lot of incredible paintings that are full of color, the black and white tables and flowers really stood out in contrast. 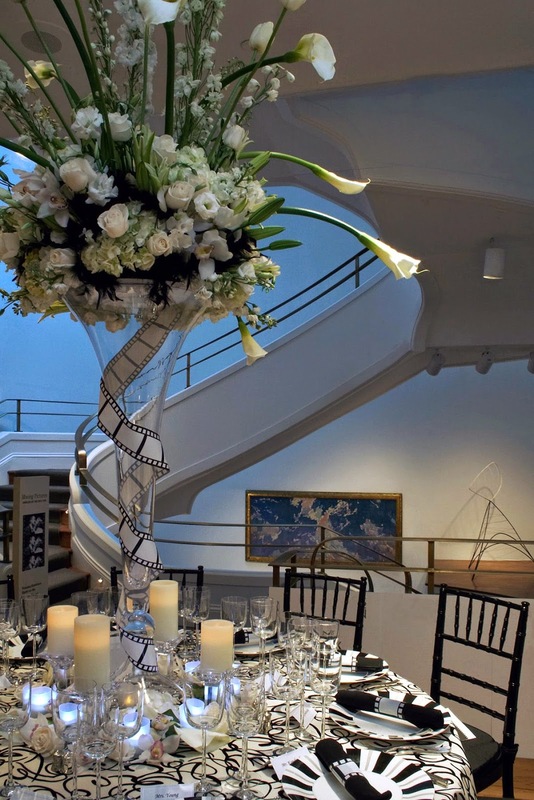 The very large flower arrangements were made of white calla lillies, hydrangea and roses along with white snapdragons. They were completely stunning in person and made a big statement. The event took place about seven years ago and the times they have a changed! 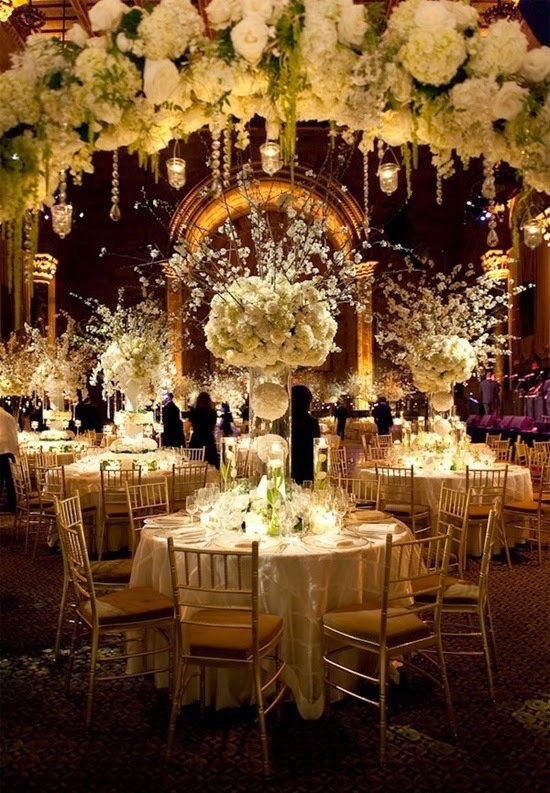 Events are even more over the top now and glamorous. Look at these other Old Hollywood themed parties on I found on Pinterest. Here's a really cool one that incorporates red into the design which I love. 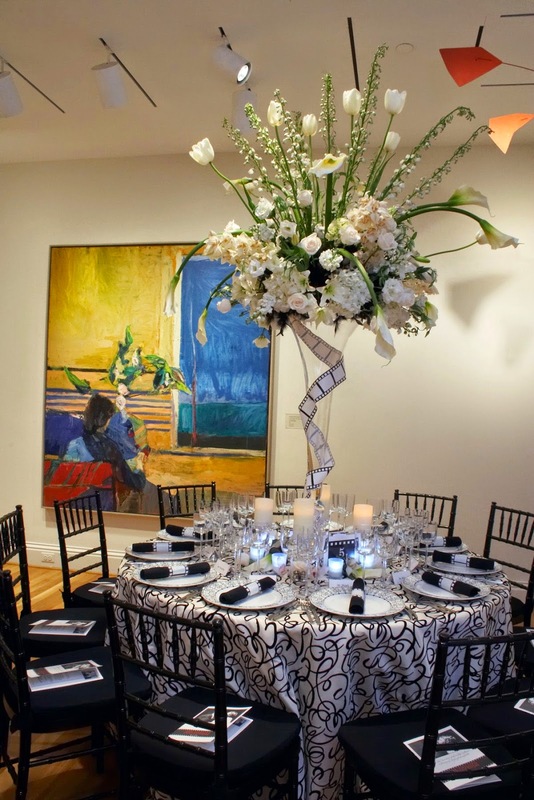 Look how the base of the candelabra is all roses and how the seating around the table is a one large sofa. Love how unique and intimate it is. 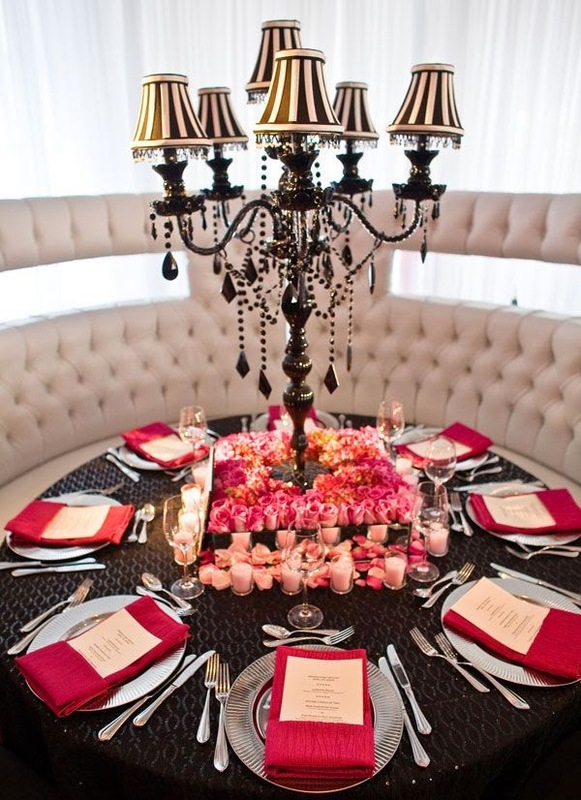 This is the way you want to enjoy a party - feeling cozy and glamorous all at the same time! 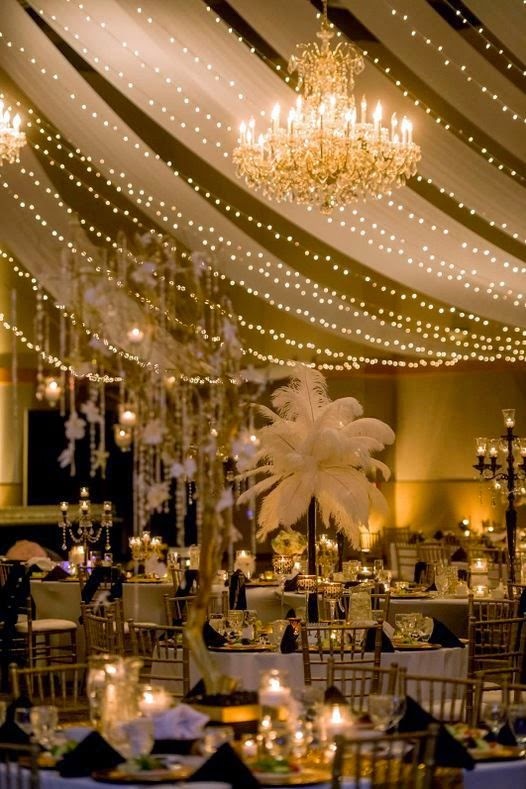 Here's a beautiful event that incorporates feathers into the decor. There is no doubt this was a big budget event, but it is so dramatic it was surely incredible inside that tent. 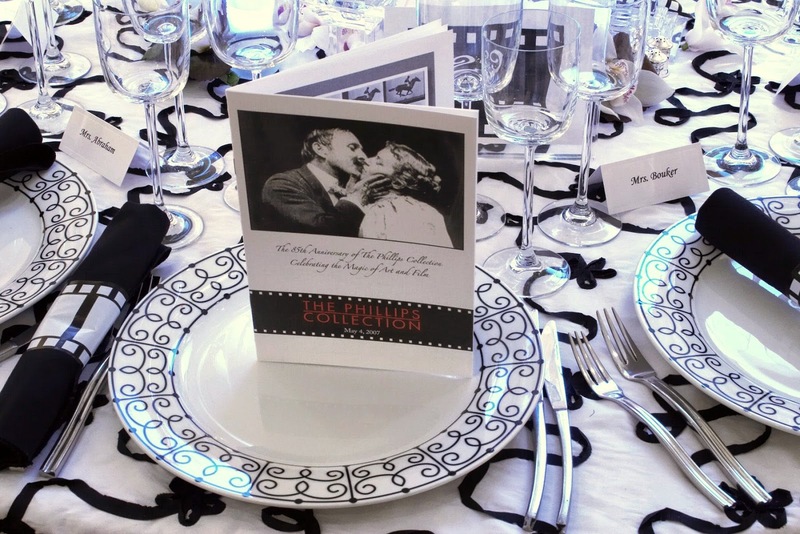 Along those same lines, here's an over the top old Hollywood themed wedding which is just stunning. Would have love to have been to that event! 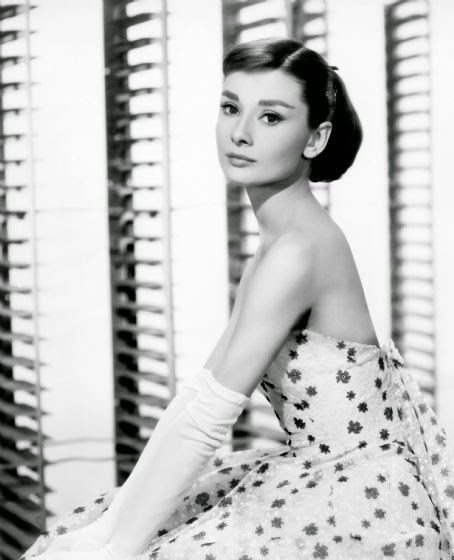 It is hard to think about being this gorgeous...it just makes my head hurt! 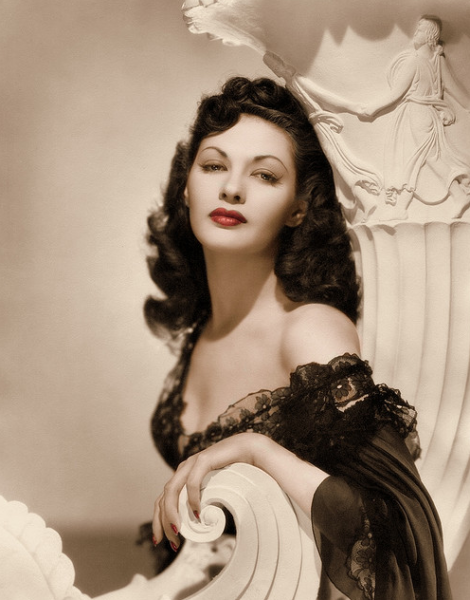 But don't worry..even though 99.99% of us will never look like this, it doesn't mean we can't incorporate the feeling of Old Hollywood in our events and homes. 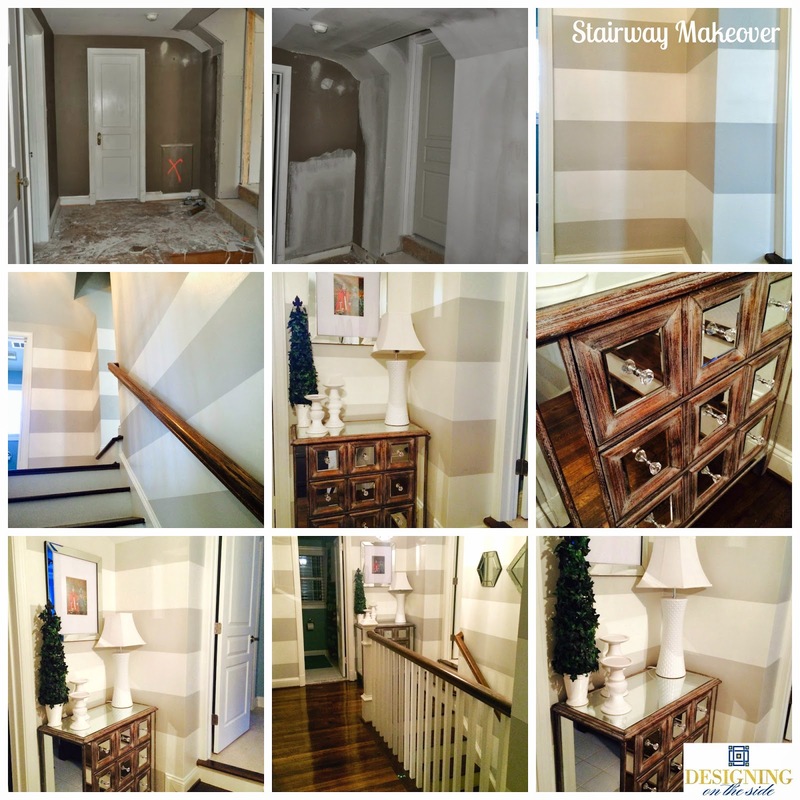 Stairway Makeover - Condensed Version!